Complete the answer by filling the gaps with an adverb or adjective from the box below. 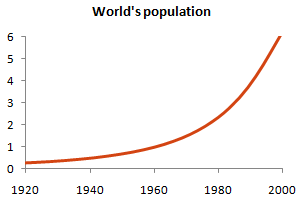 The world population grew .................... between 1960 and 2000. The world population experienced a .................... growth between 1960 and 2000. European City Tourism showed an .................... growth of 50% for three consecutive years from 2006 to 2008. 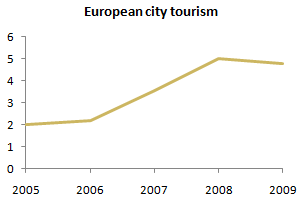 European City Tourism grew .................... by 50% for three consecutive years from 2006 to 2008. Diesel consumption showed a .................... increase between 2010 and 2011. 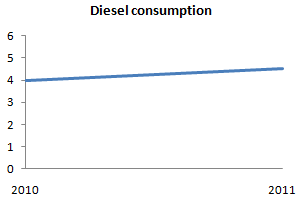 Diesel consumption increased .................... between 2010 and 2011. 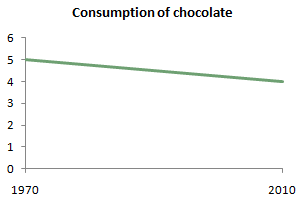 Consumption of chocolate fell .................... between 1970 and 2010. There was a .................... fall in consumption of chocolate between 1970 and 2010. Worldwide sales of CD-ROM drives climbed .................... during the first half of the year before falling .................... in August. 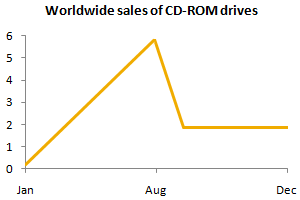 There was a .................... climb in worldwide sales of CD-ROM drives during the first half of the year before a .................... fall in August.